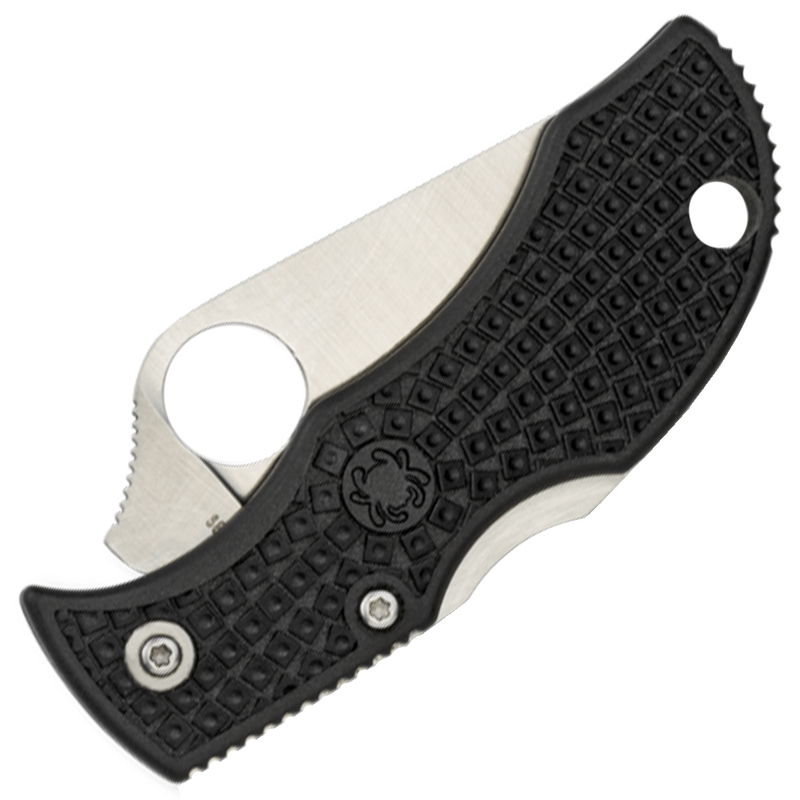 The ManBug Plain Edge Blade Folding Knife - Black from Spyderco is an amazingly handy cutting tool that is more at used at home and it is a small go anywhere clipless folder that rides in the pocket. Anyone who has ever used a ladybug knows that it cuts with an authority far beyond its size. It is clipless, sporting a lanyard hole along with a David Boyle dent and sports an FRN blade in PlainEdge configuration. 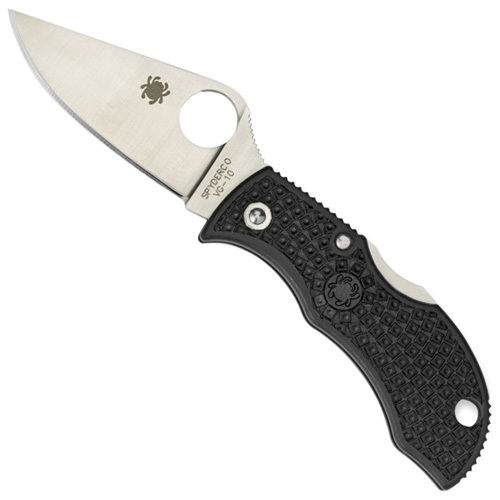 Along with spine jimping, it also sports an enlarged Spyderco round hole and featuring a hollow ground blade. The handle comes with a smooth polish. It has a beautiful finish all over and properly rounded edges of handle, which is also molded with bi-directional texturing which helps to avoid slipping in the hand and is coloured in black. It is extremely light in weight at 0.8 ounces with dimensions being 4.5 x 1.2 x 0.2 inches.